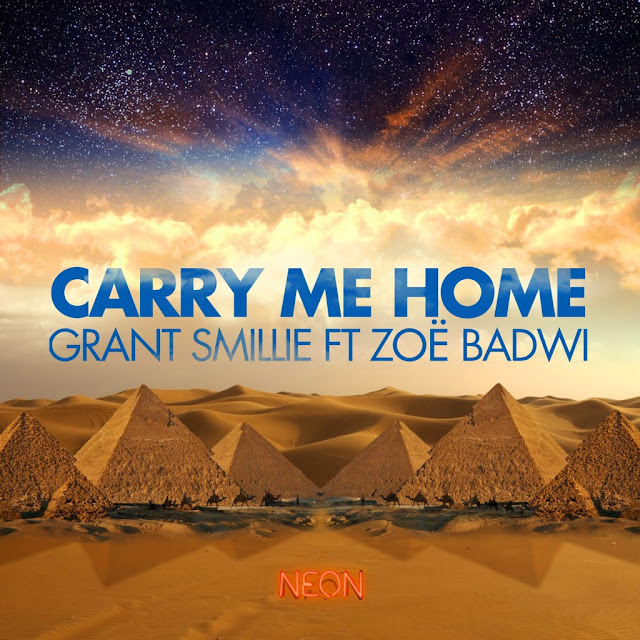 Australian singer/songwriter Zoë Badwi, one of my 'Ones to Watch in 2011' just released her latest single, "Carry Me Home" on June 3rd. A collaboration with prominent Melbourne-based house DJ (and 1/2 of Aussie production duo TV Rock), Grant Smillie, the super catchy dance track failed to chart on the ARIA Singles Chart but it did manage a respectable #7 on the ARIA Club Chart. Previous single, "Accidents Happen" peaked at #71 on the singles chart, a far cry from the Top Ten chart smash "Freefallin'." Pity. It's a good song, and one that deserves a better showing on the charts. Badwi started out in music as one third of the Aussie girl group Sirens, replacing the third member who left to pursue a modeling career. Sirens enjoyed modest success with their singles "Like Fire, Like Rain" and a cover of "I'm So Excited," originally by The Pointer Sisters. Badwi eventually left the group to pursue a solo career and was ultimately discovered by her "Carry Me Home" collaborator, Smillie. Signing with Neon Records, Badwi released her first single, "Release Me" in 2008, where it went on to reach the #1 spot on the ARIA Clubs Chart as well as two nominations for "Best Dance Release" at the ARIA Music Awards and "Dance Work of the Year" at the APRA Awards. Her third single, the Platinum-certified "Freefallin'" is her biggest success to date, charting at #9 on the ARIA Singles Chart. As I reported in my last post, Badwi is signed in the States with Atlantic Records. Details are virtually non existent right now as to when she'll release her debut album, but it is expected sometime later this year. Check out the stunning Zoë Badwi in the "Carry Me Home" video below and download the single on Australian iTunes HERE. "I'm so excited about this new record," says Branch. "I can't wait for my fans to hear my new stuff. Having worked primarily with acoustic instrumentation on my last record, I really wanted to play around with new sounds, synthesizers and programming. It's going to be a blast to play live." 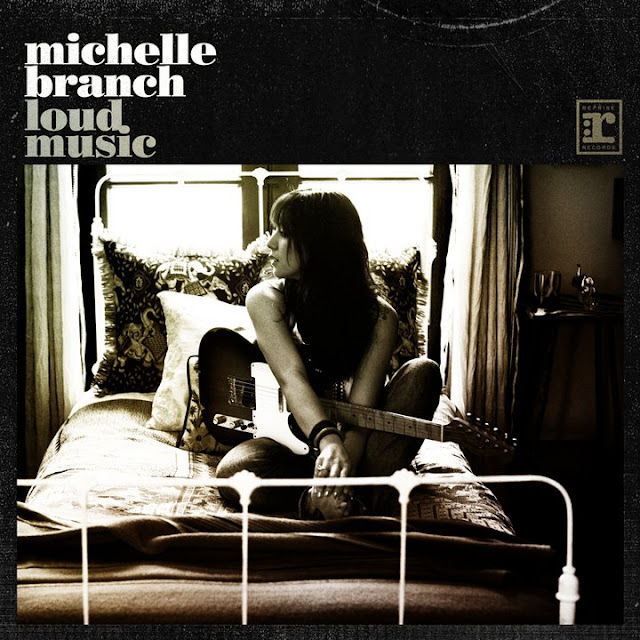 I had first heard of Michelle Branch back when I was in college and doing occasional CD reviews for my school paper, the Indiana Daily Student. There was a drawer in the newsroom where reviewers could riffle through stacks of promotional CDs, one of them being a copy of Michelle Branch's debut album The Spirit Room. To be honest, I never actually reviewed that CD. I think someone beat me to it, as there were oftentimes multiple copies of the same CD sent by the labels. I do remember reading in the paper that she was making an appearance at a small Bloomington club called The Bluebird and being devastated because I was underage and couldn't get in. "How is that fair!? Michelle Branch isn't even 21 yet!" I was furious. It's hard to believe that was back in 2001, really before she even took off. The Spirit Room ultimately went multi-platinum and produced three hit singles, "Everywhere," "All You Wanted" and "Goodbye To You." In 2002 Branch upped her status and credibility with her duet with Santana, "The Game Of Love," which was a hit all over the world, even winning a Grammy Award for 'Best Pop Collaboration with Vocals.' Branch was seemingly unstoppable by this point, releasing her sophomore record, Hotel Paper, the following year in 2003. While not nearly as successful as it's predecessor, Hotel Paper was still a solid pop rock album, debuting at #2 on the Billboard 200 chart and featuring the Grammy nominated single "Are You Happy Now?" Once all of the promotional duties on Hotel Paper were over, Branch took a little breather, and by "breather" I mean she got married, had a baby and then went country. This might have been one of the saddest moments for me, musically speaking. When Branch formed country duo, The Wreckers, with pal Jessica Harp I felt betrayed. How could Branch suddenly just switch gears like this, effectively abandoning her pop fans? Of course this anger was short lived and I ultimately caved and downloaded a couple of their singles. Not too bad. Not my cup of tea but not bad. Branch's unique vocal style and phrasing was still there, just with a bit more twang. The duo's debut album, Stand Still, Look Pretty, went gold and they were nominated for three ACM awards, a CMA award and a Grammy. With all of that success I was scared that Branch would become a full blown country singer, turning her back on pop forever. Looks like my fears were unsubstantiated, because now, with The Wreckers on indefinite hiatus, Branch is making a much anticipated pop comeback, ready to give her fans some lovin'. Starting on July 7th, Michelle Branch will head out on tour with The Goo Goo Dolls for a summer tour. Check out the dates HERE and maybe go and catch her live. Download her fabulous big-chorused, guitar-heavy pop single, "Loud Music" on U.S. iTunes HERE. You can watch the lyric video below if you like.